2018 Drivers’ Choice Awards: And the Winner Is…Honda! Honda recently won three awards from Motor Week, an industry leader when it comes to automotive reviewing. The Motor Week 2018 Drivers’ Choice Awards are among the most prestigious on the market, and the Honda Accord, Odyssey, and Civic each won in their respective segments. According to Motor Week, the Honda Civic earned the 2018 Best Small Car award for the third year in a row—an anomaly for this particular award. In addition to a striking rear fascia, the 2018 model year also comes with two high-performance designs, the Si and Type R, which are ideal for those who want a little added performance. The Honda Accord won the 2018 Best Family Sedan award thanks to its four-door design and comfortable interior. 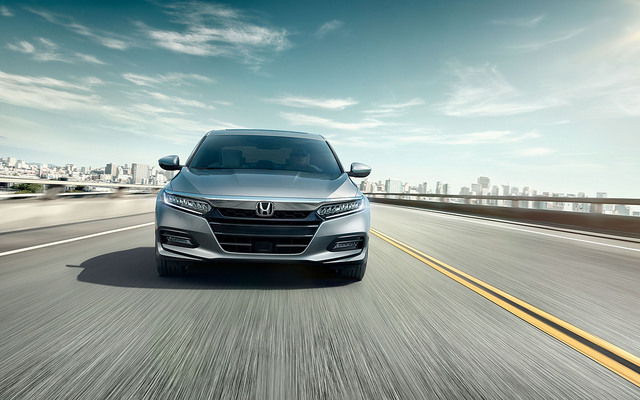 The Accord has extensive safety features like Honda Sense™ to keep you and your family safe as you drive, and the refined interior and extensive infotainment options will make any long road trip more enjoyable. The Honda Odyssey also won the 2018 Best Minivan award from Motor Week. The Odyssey has a reliable design and seating for up to seven people, and this minivan also comes with extensive infotainment. With sleek looks, an efficient engine, and multiple available features, the Odyssey is setting new standards. If you’re looking for a truly award-winning vehicle, stop by Hardin County Honda to test drive the Accord, Civic, and Odyssey today. Author hardincohondaPosted on March 20, 2018 March 20, 2018 Categories Honda NewsTags 2018 Drivers’ Choice Awards, Accord, Awards, Civic, Hardin County Honda, Honda, OdysseyLeave a comment on 2018 Drivers’ Choice Awards: And the Winner Is…Honda!